Replace your email worries with satisfaction when you buy today. You missed it @ $4.99. Price will go all the way to $29. Buy soon. Cancel anytime + 30 Day Money Back Guarantee. You can either procrastinate and remain frustrated, or you can choose to buy now and end these problems for good. Remember Hundreds of Pro customers paid $129/year for this… Starter Plan is worth at least $249 with all the bonuses. It costs less than a burger. Even if you find one useful feature, or learn one thing from the trainings, this is going to be worth it. Critical This is a firesale. Early buyers get lower price. Price goes up as more people buy. Sale ends 30th April. Great Team. Amazing Product. Stellar Support. We’ve answered most common questions here. Feel free to contact us if your question is not answered. How do you ensure reliable email deliveries? We’ve included a number of solutions for this. First, our server will trigger email dispatch on your server at regular intervals. So you don’t have to bother with cron and server configuration. 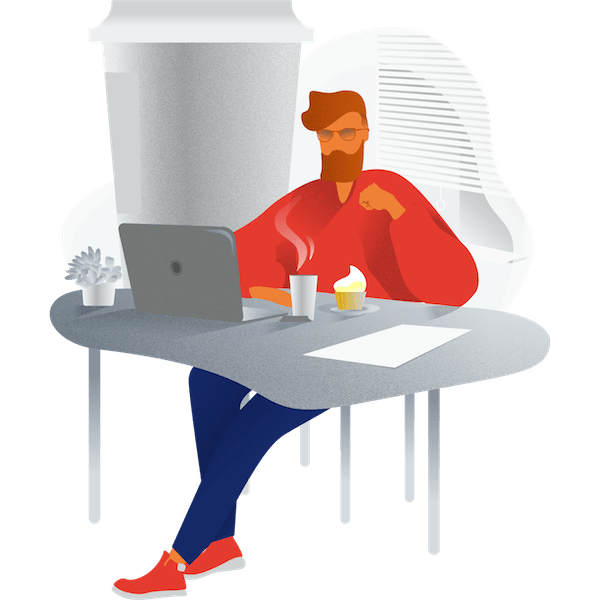 Second, we’ve added support for using professional email delivery services – many have generous free plans – like ten thousand free emails per month. We’ll walk you through signing up for such a service and setting it up. Or you can even use an existing outgoing mail / SMTP server you already have. Third, we’ve included content focused designs that’ve proven to pass spam checks and land in recipient’s inbox. If you write spammy content, your email may still land in junk, but for most people, it will work really well. Fourth, we will teach you the exact method to get bullet proof email delivery in an exclusive live training. Follow those steps, and you’re sorted. Fifth, our spam blocking stops bad email addresses from entering your list. That way you have lower bounces and failures – and higher email sending reputation as well. Sixth, we will add deeper integration with email sending services in near future, so we send emails using their bulk / batch APIs. This means emails go out way faster. And lastly, we will keep improving on our technology, so your emails reach their desired destination. How can you afford such low price? First, we’ve optimized everything for scale, so our costs are lower. Second, we’ve offloaded expensive email sending. When you use some of these professional email sending services, you can get ten thousand free emails per month. And most of you will find that limit very generous. This way we don’t have to invest in building expensive email sending infrastructure. Third, we believe email is like a necessity. Everyone should have access to solid email marketing. So we’ve priced the Starter plan to be extremely affordable. Where are my emails sent from? My server or yours? Emails are sent from your server or any SMTP server you designate. We can’t run outgoing mail servers at this low cost, and there are plenty of professional email sending companies that offer a generous free tier. It’s better to use them than to reinvent expensive email infrastructure. Is this a SaaS offering? No. Things still work on your site, within your WordPress blog. But there are components we run on our servers to deliver the promised quality of service. What about GDPR and privacy? Do not forget to take subscriber’s consent where required. Our plugins are already GDPR compliant. And once you sign up for Starter plan, you should mention Icegram as a third party service you use. Starter plan does not store any of your subscriber data on our servers. Most of it is all still within your WordPress setup. How is Starter plan different from the Pro plan? Starter plan includes most of what we offered in the Pro plan – automatic background email sending, spam sign up prevention and two new email designs. Pro plan is $19/month or $129/year. Pro includes additional email templates, spam check service at time of email sending, list cleanups, UTM tracking and extra bonuses. People who buy Pro will also get advanced features coming soon – segmentation, autoresponder sequences, automations, analytics and more automatically. Is pricing based on number of emails sent? Number of contacts? No. This is a flat annual price. We may add pricing based on number of contacts in future. But if you buy now, you will get unlimited access. 30 days money back guarantee. We generally don’t offer refunds, but are giving you a 30 day money back guarantee on Starter plan. You can continue using the plugin until the end of your subscription period. Beyond that you’d need to renew at then prevailing prices to continue using. Once you activate the plugin and connect your blog with your Icegram account, you will get automatic update alerts within WordPress. You can update directly within WordPress. We take pride in providing professional, one to one support to our customers through our email based support system. Can I use Starter plan for my client’s websites? Yes sure. Just buy one license for each site you want to use it on. Can I use this on more than one sites? One purchase grants you license to use Starter plan on one site. Buy as many times as you need. If you want to use it on more than 20 sites, contact us for Agency discount. How will I get the bonuses / trainings? You will get an email within a week from your purchase about the next available training schedule. These will be online webinar trainings. You can download session recording if you can’t attend. Can I upgrade to Pro plan in future? Yes. We are working on lots of features you will love – autoresponder sequences, segments, automations… You will get a special discount to upgrade to Pro plan when we launch the new version. Think of how confident you’ll feel when you buy the Starter plan today. If you want to build influence, you need to setup a reliable way to reach out to your audience, isn’t it? You’ve experienced how technical complexities can paralyze results, and you know solving them will free you up to focus on your blog, and you know this is an offer you should not miss, so I suggest you go ahead and buy Starter plan now. I want solid email marketing. I am not ready. I will miss this one-time opportunity.